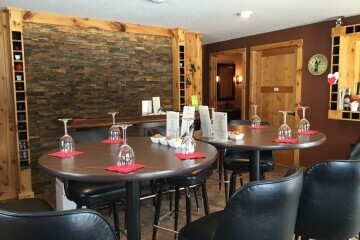 Winery, vineyard, and wine bar. Enjoy up to 3 samples of their custom fruit wines. Purchase a glass and enjoy all of their wines.